With many thousands of sites now blocked in Russia following allegations of copyright infringement, piracy should – at least in theory – become harder. Many of the most stubborn sites, such as the infamous RuTracker, are now inaccessible directly via local ISPs, meaning that users must deploy countermeasures such as proxies, VPNs (where they’re still available), and other means, in order to reach their content. 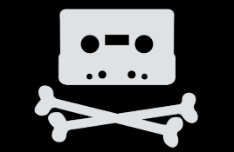 There’s little doubt that piracy is now becoming harder than it once was but pirates have a tendency to be not only persistent, but also creative – even if that means resorting to technologies that are decades old. According to local news outlet Vedomosti, people are turning the sales of pirate eBooks into a cottage industry, while exploiting a loophole in the law to avoid criminal liability. Many of these transactions take place on Avito, Russia’s most popular classified ads site and the second largest in the world behind Craigslist. Countless ads for pirate eBooks litter the platform, offering anything from a single book to bundles of many. This content is offered for prices ranging from just a few cents to a couple of dollars, which is many times cheaper than official offerings. However, little of this activity can land any of the sellers in trouble. The threshold for criminal liability in Russia for what are essentially counterfeit goods is 100,000 rubles (around $1,500). Individual sales tend not to meet those thresholds. Making matters even more slippery for anti-piracy companies is that those who place the ads for pirate eBooks do not post the content online. Instead, the senders use email to transfer the eBooks to their customers. This means their ads cannot be easily be detected by anti-piracy bots and any infringing transactions remain private. Furthermore, since there are no links to infringing content, the listings are effectively immune from Russia’s somewhat draconian anti-piracy laws. They cannot be targeted with legal action under the regime so platforms can’t be blocked in the way that normal pirate sites can. 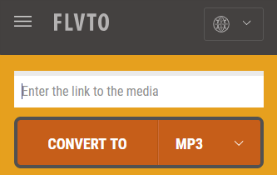 Instead, copyright holders are reliant on platforms like Avito to help take content down. The company does remove listings, but only when they are reported as problematic. However, there are reportedly entire communities thriving on social media platforms dedicated to these sales, so tackling the problem could be time-consuming. If nothing else, what this shows is that in the piracy world, where’s there’s a will to pirate content, there will probably be a way. And when that way is via email or other hidden techniques, there’s very little anyone can do about it – at least for now.